Learn how to talk like a pirate! Mango Languages provides courses on 72 languages including “pirate” and American Sign Language. Use Mango on your computer or download the app to your smartphone or tablet. Back to school time can mean many exciting new things. New teachers, classes and friends. It also means it’s time to renew or get an Indian Prairie library card. Indian Prairie Library has computers, textbooks, STEM kits and tablets, books on your student’s reading lists, databases to help with homework, and so much more. Databases like Tumblebooks and Brainfuse HelpNow/Brainfuse LearnNow are live online tutoring, writing feedback, school practice tests (ACT and others), and more. Check out the databases on our website ippl.info > RESEARCH > EDUCATION. New Year – New Job! 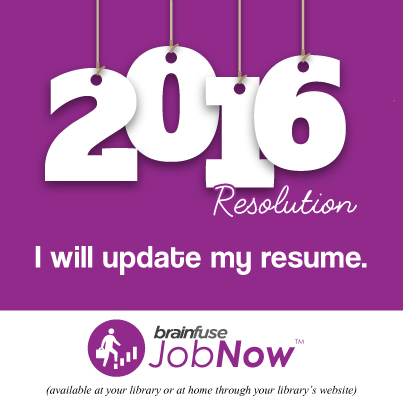 Our Brainfuse JobNow database provides tools for job seekers. Get started by downloading a resume template then use the Resume Lab to receive expert analysis of your resume. Or read tips on successful interviewing then get live interview coaching from 2-11 p.m. daily. Plus browse other career, resume, and interview resources 24/7. Get started here. We’re excited to share our newest resource. With Brainfuse LearnNow, students of all ages can take school and career practice tests. From the ACT to the ASVAB and beyond, get live help from an experienced tutor (available daily 2-11pm) if you get stuck on a concept. homework help, writing critique, test prep, and more! 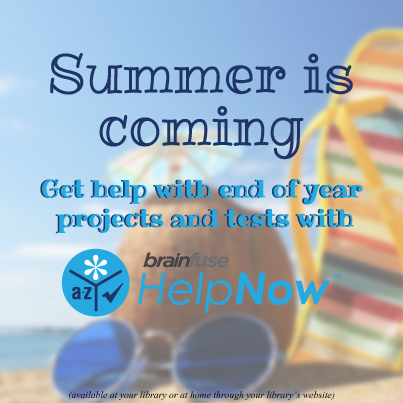 Now available to IPPL cardholders: Brainfuse HelpNow provides live online tutoring from 2pm-11pm, plus a writing center (get individualized feedback on your papers) and a test center with practice tests for kids, teens, and adults (AP, ACT, GED, and much more!). Job Seekers: Find practical tools in Brainfuse JobNow. Use the Resume Lab to receive expert analysis of your resume, get live interview coaching from 2pm-11pm daily, plus browse other career, resume, and interview resources. free legal forms available now! Indian Prairie now subscribes to Legal Forms, which provides a wide selection of Illinois legal forms covering bankruptcy, divorce, landlord-tenant, wills, and more. Also includes a law dictionary. With your Indian Prairie library card, access sample forms which are carefully reviewed and updated by attorneys. Find additional legal resources on our website. Get ratings and advice on businesses and services available in the Chicago metro area. Use Chicago Consumers’ Checkbook to find plumbers, roofers, doctors, dentists, and more. Note: After you enter your library card number the first time, you’ll complete a registration form with your name and address. Then, you’ll receive an activation link via email which will allow you to leave your own ratings and comments on local businesses and service providers. And once you complete this process, only your library card number will be needed in the future. For more consumer information, check out our Business & Consumer page for links to library resources including Consumer Reports plus free websites such as Consumer Search. Now available — View additional details such as series information, readalikes, reviews, book discussion guides, and more without leaving SWAN. Just search for a book as you normally would, then scroll down to see these extras. Search the catalog directly from our website or go to SWAN and limit to searching Indian Prairie items only. See an example for Game of Thrones below. It’s one stop shopping — you can still visit NoveList for more searching options, but so much is now available right in the catalog. Questions? Email reference@ippl.info or stop by the Ask Us Desk on the first floor. We’d love to help!